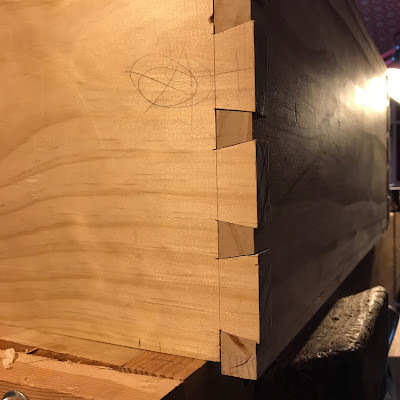 It was 1995 when a friend of mine asked me to make some stereo speaker boxes out of ponderosa pine and he requested that I join the boxes with dovetails. The only book I had at the time that talked about dovetails was one of Roy Underhill’s books, so armed with that knowledge, a shop made marking gauge of pine, a set of Stanley “Made in England” #5002 chisels and a Pax backsaw I set out to complete this job. 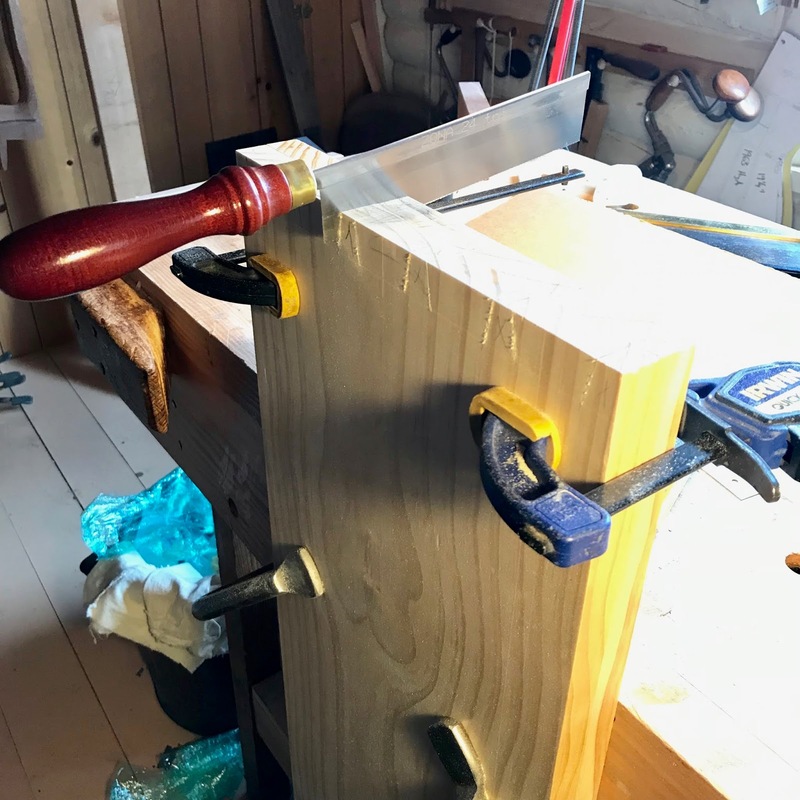 My first attempt at cutting dovetails was pretty much a failure, I ruined some nice wood and had a devil of a time finding new stuff and when I did, I bought a dovetail jig and router. If you can do it well by hand, a person should be able to do it better with a jig and power tool, was my reasoning to spend money I didn't have. 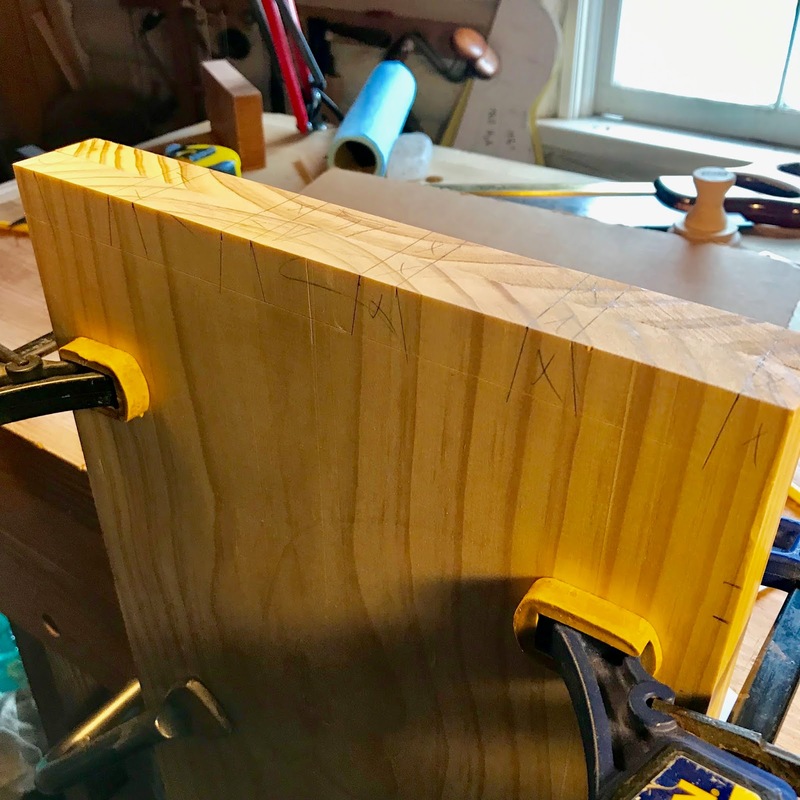 The power tool process went smoothly, though at the time I was surprised that I had to pare the router cut dovetails for a nice fit. I made the four boxes, finished them with some linseed oil and got paid when I delivered the boxes to my friend, who was very happy with my work. 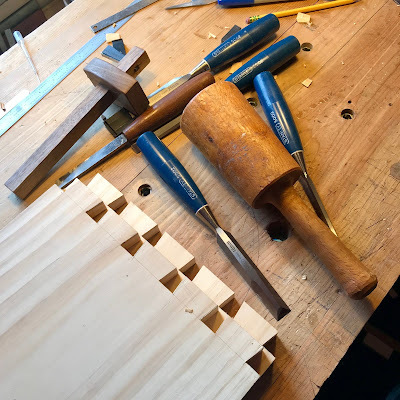 I returned the dovetail jig to the company I bought it from, they had a great return policy, and I vowed to never cut a dovetail again, by hand or by router. I knew I didn’t want to become a cabinet or furniture maker, squares, rectangles and triangles didn't hold any appeal for me. To this day, those shapes still don't fire my imagination. My wife and I have started the process of selling our house, our realtor wants to "stage" the house for showings, which means that we have to box up items and stuff we don't use on a daily basis and store them in my unfinished workshop. Until the house sells, there are several guitars to work on and I need to solve the dilemma of having tools on hand and being able to lock them away when potential buyers are here for a showing. I have several large tool chests, but they are just that, large. A smaller tool chest is in order and the one that appeals to me the most is the so called DTC, the wildly popular Dutch Tool Chest, or as I like to call it, a Dutch style tool chest. 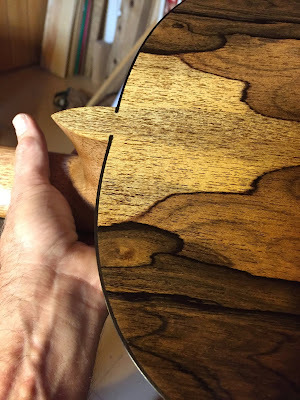 It is small enough to force me to select only those tools that I really need to make a classical guitar, the rest of my tools will reside in a large tool chest in the unfinished workshop. I went to a big box hardware store and bought some radiata pine (pinus radiata), aka plantation grown Monterey pine and decided that I should step up to the challenge of cutting dovetails! I am holding fairly true to the published plans of a DTC, give or take a few eighths to sixteenths of an inch. 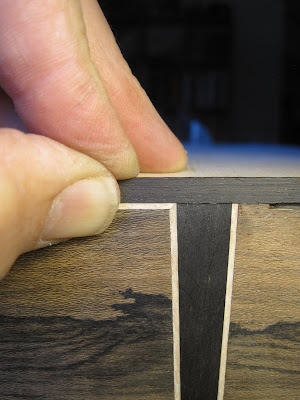 I refreshed my memory by looking at articles on dovetailing written by Charles Hayward and armed with a shop made marking gauge of walnut, a Zona brand 24 tpi mini back saw, the same Stanley #5002 chisels and a shop made bow saw, I hacked and chiseled and sawed me ten dovetails and correpsonding pins. I still don't like cutting dovetails. I doff my hat to those of you who cut and fit dovetails and pins on a daily basis and do it well! You bring a smile, I can make a workbench, chair, table, tool box, and most of the time dovetails without thought but I doubt ever a guitar.